Should you give your colleagues ang baos for Chinese New Year? 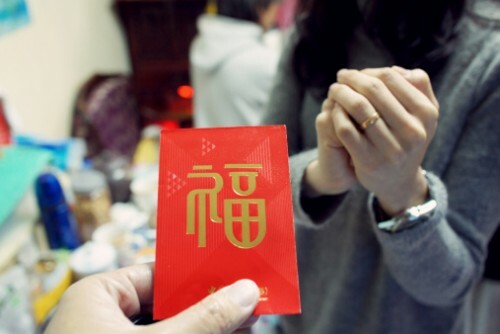 Chinese New Year is just around the corner and it’s the time when married couples start scratching their heads wondering how much money to pack in ang baos and jotting down a list of all the people they need to give a red packet to. Aside from the usual folks – your parents, grandparents, children, grandchildren, younger siblings and cousins, children of relatives and close friends etc – some of us might be wondering if we should give ang baos to our younger and unmarried colleagues or to our subordinates too. After all, we want to continue to foster a good working relationship and giving them an ang bao during Chinese New Year may help to take the relationship with our colleagues to new heights… But is this really necessary? You’re aware that your colleagues or subordinates earn a lot less than you and the ang bao you give them will help a little in their finances. This isn’t an issue if you really don’t mind giving out ang baos to your colleagues, regardless of whether they need the money. You can either cave into the pressure and give out ang baos to appease them or you can give out ‘mini’ ones just for good luck. If your company practises a culture where bosses give ang baos to their staff then it may be difficult to escape from it, unless you want to come across as a miser. It’s alright not to give out red packets if you’ve already made plans to treat your subordinates to a Chinese New Year meal or share parts of a hamper you’ve received. It’s not nice to play favourites and only give ang baos to the ones you like. On the other hand, you have too many subordinates and giving everyone an ang bao is financially draining. If your colleagues have worked with you for many years and they feel like family, perhaps you should give them red packets to show your appreciation. If this is the case then you’ve no need to worry about whether you should give out any ang baos. There is no right or wrong answer to this. Whether or not you choose to give out red packets, your colleagues should not have expectations. Anyone you choose to bestow an ang bao on for good luck (small or big) should be appreciative of your gesture. In any case, it is most important that you decide to give only if you really want to and are happy to do so. There is no point choosing to give out ang baos because you feel that you have to, especially if you end up feeling miserable. What Your Chinese Zodiac Sign Say About The Way You Work? You may also be interested to read: What Your Chinese Zodiac Sign Say About The Way You Work?